She works tirelessly to give you everything you need and constantly worries about you. And while you don't always see eye to eye, you know that she always has your best interest at heart—that's MOM for you! And as we get ready to celebrate Mother's Day, here are six Pinoy films that give us a glimpse of just how strong and special all mothers are. 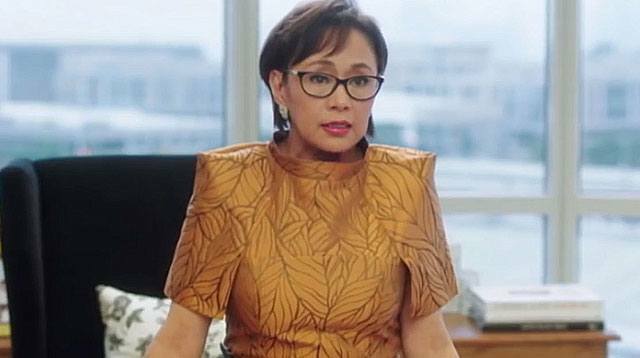 Vivian (Vilma Santos) is at the top of her game career-wise. She's successful, powerful, ruthless, and feared by the people around her. On the family front though, things are not going so well. Her only son (Xian Lim) refuses to have anything to do with her. But everything changes when Vivian is diagnosed with cancer. This movie reminds us that even moms make mistakes. But that doesn't mean they are incapable of change. Give them a chance before it's too late. Anne (Angelica Panganiban) was living the perfect life. She had a gorgeous husband, a super-cute son, a beautiful home, and a flourishing career. But the perfect life comes to a complete stop when she catches her hubby fooling around with another woman. Anne does everything in her power to protect her family, but some wounds are just too deep to heal so quickly, and soon, she agrees to a set-up where she allows her husband to stray, but he has to come home by morning so his son will still get to spend time with him. This movie shows us just how much a mother would be willing endure to protect her children from pain. The circumstances that led to CJ (Jennylyn Mercado) being a mom is certainly unconventional. She was a flight-attendant-in-training with the biggest crush on Uno (John Lloyd Cruz), a pilot working for the same airline. As fate would have it, she runs into him at a bar one drunken night and she ends up pregnant because of that one-night-stand. It wasn't easy for CJ to convince Uno that he was the father of the baby she was carrying, but she forgot about her pride and practically begged Uno to help her out and ensure that the unborn baby would be cared for. Christy (Dawn Zulueta), a widow in her 40s, was feeling lonely when her two grown children moved abroad. To help ease the loneliness, she focused on designing clothes, and started meeting up with female friends her own age. This new phase of her life also led her to meet and fall in love with JC (Piolo Pascual), a DJ in a popular club. The movie shows us the difficulty mothers have to face when a husband dies and her children have to leave to live their own lives. It makes us realize, too, that our moms are individuals who have their own dreams and interests. The only documentary on this list, Sunday Beauty Queen features Pinay OFWs working in HongKong who join beauty contests during the weekend. In this film, you will meet real moms like Hazel Perdido who worked as a domestic helper for eight years, and can only watch her daughter's graduation through her phone. There's also Cherrie Bretana who also had to leave her own children behind to take care of someone else's children. What these real-life moms have to go through is incredibly difficult. So if you're the daughter of an OFW or have relatives who are OFWs, make sure to show your appreciation. Tricia (Dawn Zulueta), the wife of a very busy doctor named Vince (Richard Gomez), was feeling neglected and allowed herself to get too close to her husband's best friend (Tonton Gutierrez). When Vince found out about the almost-affair, he could not forgive Tricia. Eventually, this led him to an affair of his own with Adie (Bea Alonzo). It tore Tricia apart but she fought for her marriage for the sake of her children. This movie shows us how strong moms can be when it comes to fighting to keep the family together. It's also a reminder that while Mom takes it upon herself to take care of everything and every one, she also needs TLC especially from Dad.